The Popmoney® personal payment service lets you send money to friends, family or anyone at all. All you need is their name and email address or mobile number to move money from your bank account to theirs. Click here to find out more about Popmoney from Anchor Bank. 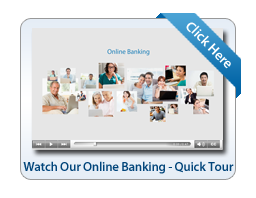 To sign up for netBanking click Enroll or contact us at (800) 562-9744 for assistance. As a part of netBanking, Bill Pay is helpful and convenient. Schedule one-time or recurring payments and pay your bills online in minutes. Set up bill reminders to track when a payment is due or to confirm that it has been sent. For a printable summary of our Online Services please click here.